Who are we? Click to read About Us. 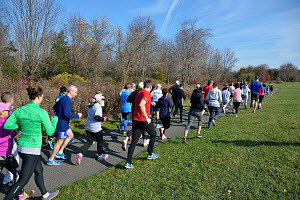 Whether you choose to come to support lung cancer research, to set a PR, or just to spend a fun Sunday morning with family and friends, this event only requires you to be prepared to use your lungs for their intended purpose: movement! 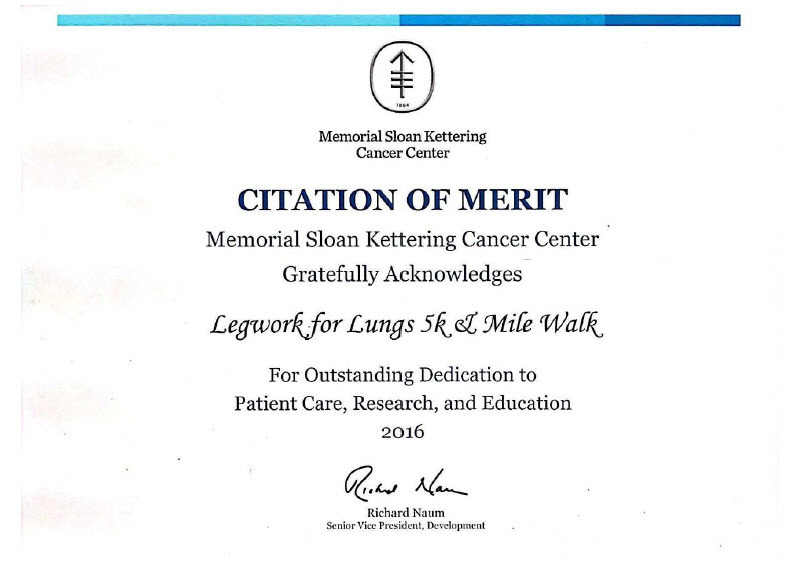 The Legwork for Lungs 5k and Mile Walk is a fifth-annual event that will take place on Sunday, November 4th, 2018, and though its main focus will be our run (of course! ), there will also be a 1-mile fitness walk, Tug-o-War Battle, raffle, and carnival games. Food, music, prizes, shirts, and medals will be provided. 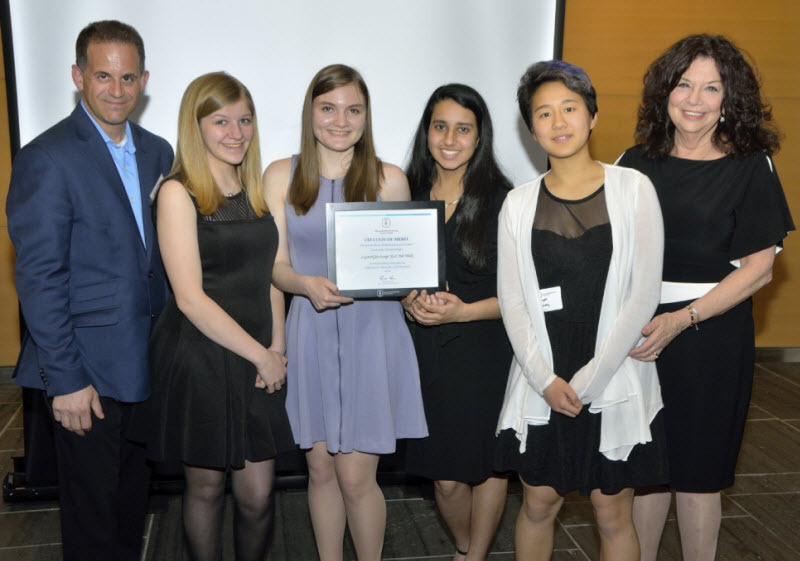 This event is held to raise funds for lung cancer research at MSKCC during Lung Cancer Awareness Month. It is inspired by the one person's battle with an unforgiving diagnosis. Read more here. Fourth annual Legwork for Lungs 5k and Mile Walk will take place on Sunday, November 4th, 2018. Behind every fundraiser there's a story. Here's ours. Memorial Sloan Kettering Cancer Research Center, the organization this event is benefiting, has been fighting cancer for years. Donations are fully tax deductible.